“The Vast Landscape” in the news! 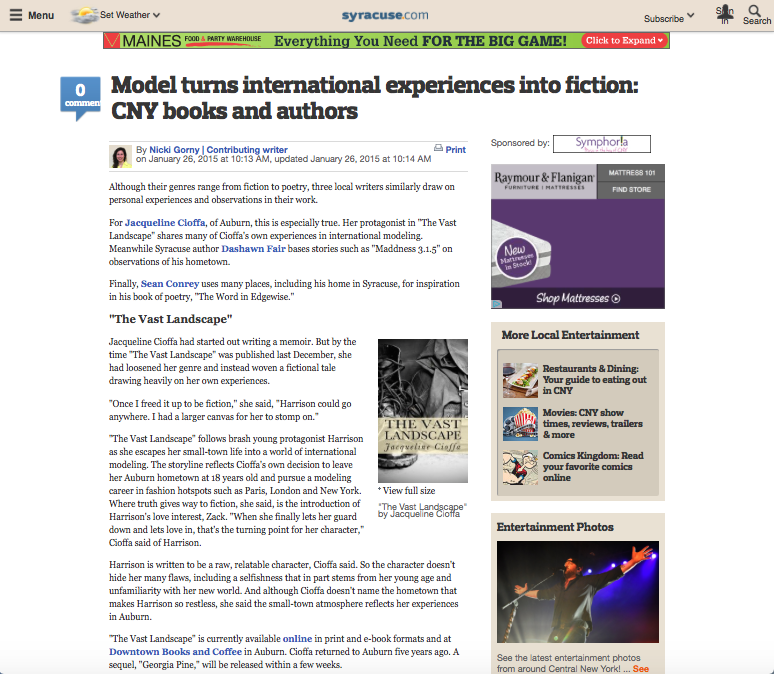 Thank you, Nicki Gorny and syracuse.com for supporting indie authors, local bookstores, CNY and the totally awesome feature. Exciting, humbling piece and a great place to grow up.